Putting on makeup is such a pleasurable process. I love to load up my lashes with water proof mascara and put on these new concept water proof, smudge proof lipsticks. But, removing all this water proof eye and lip makeup is such a pain. 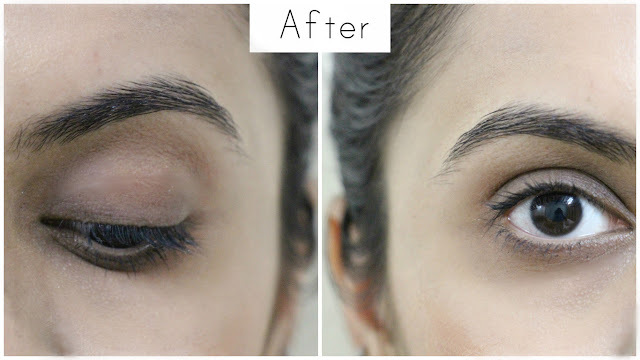 Maybelline Total Clean Express Eye & Lip Makeup Remover claims to remove all this in just one swipe. 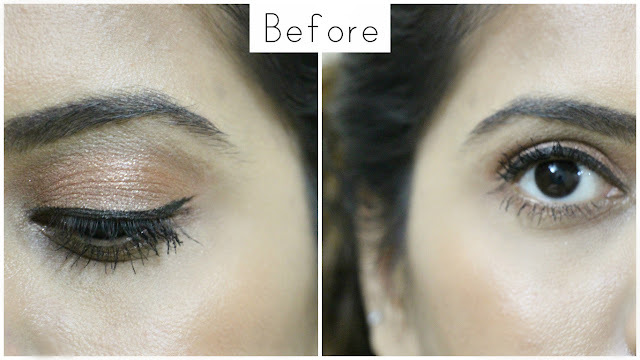 Maybelline Total Clean Express Eye & Lip Makeup Remover costs 275 INR. It comes in this transparent bottle it ha screw cap. As much as we love to put on water proof eye and lip makeup, taking them of is a long and irritating process. No matter how much time we take or how much effort we put in, it's I impossible to get rid of the mascara that keeps hanging and the weird lip stain. Maybelline Total Clean Express Eye & Lip Makeup Remover is a oil based remove and this was the reason it kept lying with me unused for months. You can see the oil and water sale rated , just shake well before use. Apply it on a cotton pad and place it either lip or eye. I like to lot it sit for 10 seconds and then wipe the makeup off. I was really scared that oil in it will irritate the eye, but strange it does not tug my eye . The remover breaks the waterproof makeup , removed it and does not leave any greasy residue behind. 2) Removes every trace of water proof makeup. 3) You don't really have to make any effort, 1-2 swipes is enough. 4) Does not tug eye. 5) Does not leave any recidue behind. 6) I like that packaging is transparent, we can see if oil is completely mixed of not. None, it's inexpensive and dies it job pretty well, what else can we ask for! If you love using water proof makeup like mascara's, eyeliners ,lipsticks and stains then you must try it. Maybelline Total Clean Express Eye & Lip Makeup Remover is a cheap and easy way to remove water proof makeup.